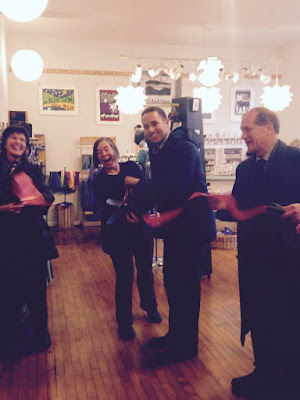 Ribbon Cutting for Ithacamade's new location! It's official, we are open in our new Dewitt Mall location. We're so happy to be here and it was fun to have our ribbon cutting with the Mayor and friends. In addition to the treasured artists who have been with us for years, we have added quite a few new artist to the Ithacamade family. We are also open 7 days a week now. Loving it!